Airflyte has a wife variety of plaques, clocks, gifts and many other recognition awards. They have a large selection of plaque sizes, shapes and finishes. You can view all your options on their site. With the opening of their SoCal warehouse, their whole catalog is available for fast turnaround . Occasions, etc does the engraving on site with your specifications. For acrylic awards, Premier Acrylic has the best selection and the most innovative designs. For engraved acrylic awards, this is the lowest cost alternative with no sacrifice in quality. Highest quality pewter and sterling, American-made in Maryland. We carry frames, platters, baby cups and rattles. For crystal items or for only a few pieces of glassware, we recommend Glass Graphics. They deep etch their pieces and their quality and customer service leaves nothing to be desired. 5 words of etching are included in their prices. Logos are extra. Prices do not include freight from the East Coast. Use their website only for pricing and selection. You cannot place an order through their website. Website is for dealers only. We are a distributor for Matthews Bronze, the leading manufacturer of cast bronze signs and markers. Their site describes the sizes and styles that are available. Contact Occasions, Etc to place an order. 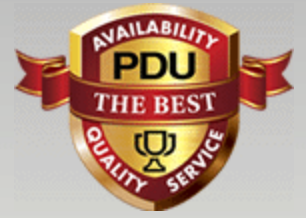 We are a distributor of PDU trophy components. Use this website to view some of the styles of trophies and some of the trophy figures that are available. In our opinion, PDU has the most realistic-looking figures and the best designs. Awesome! This is the only way to describe Visions’ pieces. In glass, stone, wood or metal, Visions designs are some of the freshest in the industry. We have some on display in the store but feel free to look through their online catalog. Setup costs are medium expensive. Turnaround is usually 10 working days after art approval. Items listed as FT for FastTrack are 3 day turnaround. For over 50 years, Victory has led the Awards Industry with their cutting edge designs and large selection of finishes in metal, acrylic and wood. Especially impressive are Victory’s line of loving cups and plaques. You may recognize that The Winston Cup is a Victory cup on a walnut base.